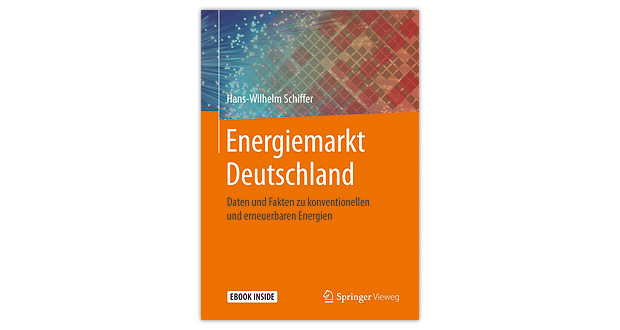 The book “Energiemarkt Deutschland” (“The German Energy Market”) – author Hans-Wilhelm Schiffer – provides an up-to-date overview of the structure and development of the German energy market. The focus is on demand and supply structures in the markets for oil, lignite, hard coal and electricity. Renewable energies are covered by a comprehensive chapter separately. Other focal points are the determinants and the development of prices for oil, coal, natural gas and electricity. The international climate protection agreements are treated as well as the legal and political framework at the European level. The implementation of greenhouse gas emissions trading and its consequences are explained. The book is not limited to a description of the energy and climate policy setting. Rather, it also shows how the major economic and societal challenges associated with the energy transition can be mastered. Key facts and figures on energy market labeling are illustrated in more than 100 tables and around 200 graphs.